Add BLING TO YOUR GAME! 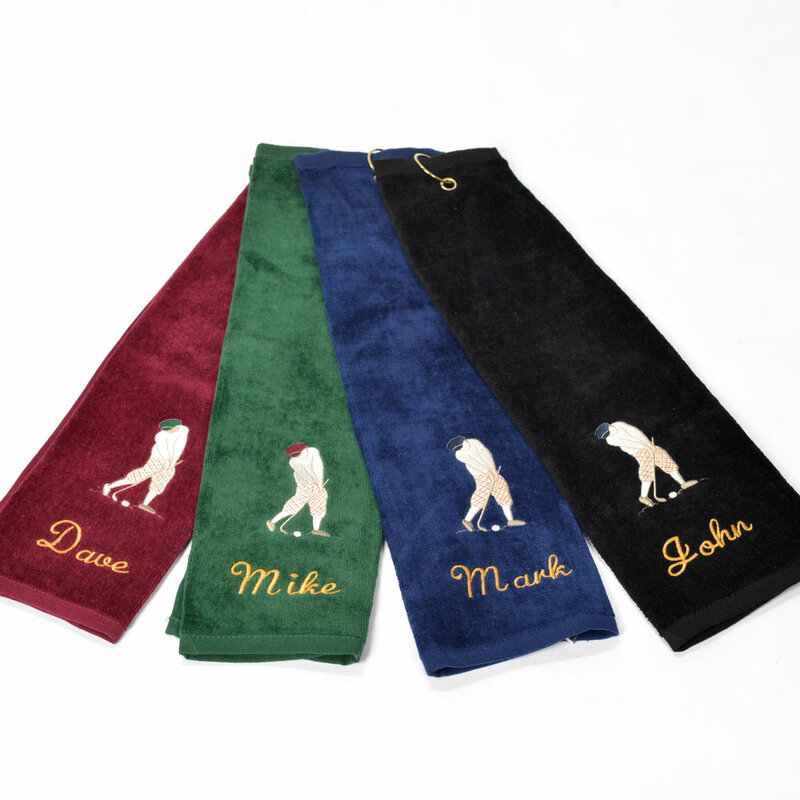 Enjoy a personalized towel on your golf bag in either traditional or character style. It won’t make your game better but your golf bag will look GREAT. 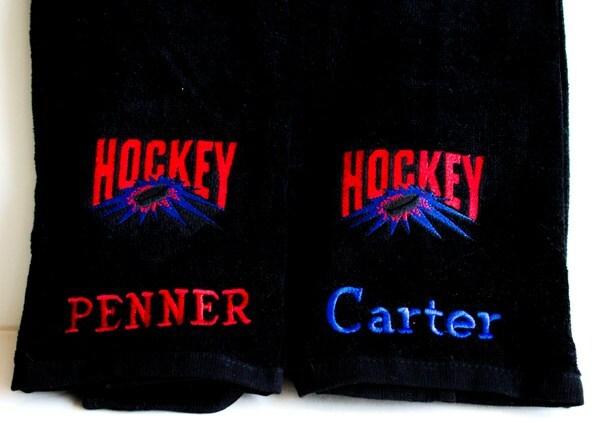 These towels come in three different styles: Hide, Nervous & Teed emblems in different colours.